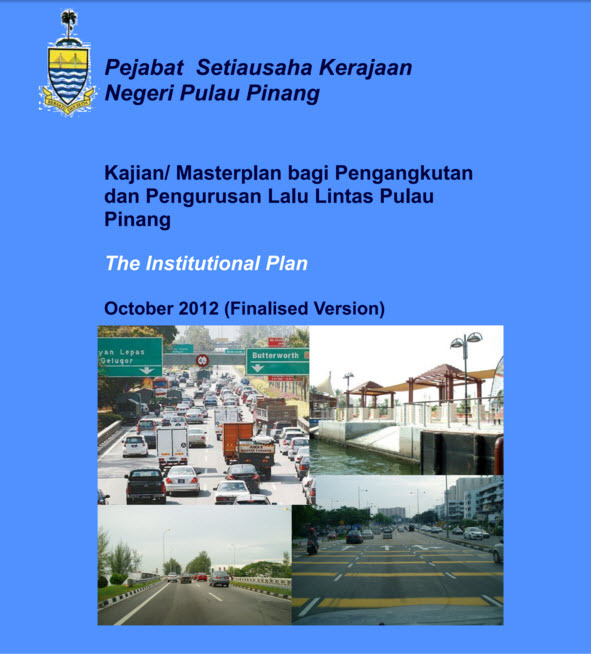 OBJECTIVE: To provide independent expert analysis and commentary on strategy, dangers and weaknesses of proposed SRS Penang Transport Master Plan — PTMP – as part of the present call from Penang’s particularly strong and active civil society community asking for independent professional views and arbitration by fully qualified experts in the field of sustainable transportation, as the vital next step in the planning and policy process. on. The original November 2013 Britton Phase 1 brainstorming report – “Sustainable Penang: Toward a New Mobility Agenda, 2013-2015″ (http://bit.ly/2NTORhJ) — built on the extensive groundwork set out by the highly professional two year mission and series of reports and recommendations of the Halcrow Transport group (“The Recommended Transport Master Plan Strategy” – https://goo.gl/KCSmMB), neither of which for some unclear reason failed to make their way into the critical discussions at the time. Both reports gave high importance to TDM – Transport Demand Management — as opposed to the massive infrastructure construction program favored by the state and its selected corporate and financial allies. As a result the contributions and recommendations of both missions were effectively ignored by the state government, its contractors, real estate developers and eventual Chinese (PRC) financial partners as they pursued their own particular objectives at a low level of professional competence on matters related to sustainable transport and good governance. We are developing this extensive and varied body of evidence to civil society and concerned citizens and voters in Penang in the hope of encouraging a new and far more practical, cost effective, equitable, and environmentally sound policy to replace the present incompetence of local government and its partners. Democracy in action. Institut Supérieur de Gestion, Paris. France. Now, as your long-time pro bono consultant and resilient Parisian friend in the struggle for equitable, efficient and fully sustainable mobility for the last six long years, I would like to share with you my most important and heart-felt single policy recommendation for Penang. And that is that to deal equitably and efficiently with these important issues and necessary actions, you now immediately invite open public discussion of the need for the passage of a law at least at the level of your state which requires FULL GENDER PARITY for all future, policy, investment and decision fora in and related to the mobility sector. To be quite certain that we are on the same page here, permit me to explain in one short sentence why this is essential in a modern democratic society. AND THAT IS BECAUSE IT IS WELL PROVEN BY EXPERIENCE THAT MEN SIMPLY CANNOT ANTICIPATE THE DAY TO DAY NEEDS OF WOMEN OF ALL AGES AND SOCIAL CONDITIONS FOR MOBILITY. Even the most sensitive males are in the dark when it comes to understanding and attempting to deal with the day to day experience and needs of the 170 million American females who were not invited to the table in Washington. It’s that simple. Note: This is a signifiant reality behind the climate/mobility initiative that we would draw to your attention in these pages. Draft introduction: Welcome to a collaborative thinking exercise inviting any and all who may have some questions about the focus, the vision and in the end the quality of future mobility services as being proposed and aggressively pushed by the state government of Penang. The central instrument for this group investigative process is a group of poster illustrations which combine simple images and a few telling words in order test our understanding of the Penang Transport Master Plan — all this as prepared for the recent Gertak Sanggul Art Festival by Kin Yin and a group of young collaborators (who will be identified shortly in the final section of this first presentation). Posted on 26/03/2019 by Eric Britton Tagged * Peer Review* The Challenge2016BehaviorCluesParticipationSafetyUser GroupsVulnerable populations	CommentsNo Comments on Archives. Andrew tries to get across the street in Penang. Archives. Andrew tries to get across the street in Penang. CONGRATULATIONS ANDREW: Best one person transportation initiative that I have seen since first starting to follow developments in Penang in September 2013. Activists today expressed their outrage over the conditional approval of the Penang Structure Plan (PSP) 2030 to include several megaprojects. Consumers Association of Penang’s Meena Raman said that despite civil society organisations registering objections to these projects at public hearings organised by the state government, their views were not taken into account. “Obviously, the state government did not listen. They have not taken into account whatever we said during our meetings and public hearings, where we clearly stated our views and objections to the projects,” she told Malaysiakini. “The process of public hearing which the state government embarked on was merely a formality required by law, but in reality, it was just a rubber stamp to support their warped vision of Penang. This article addresses a critical part of the on-going Penang transport master planning process — the importance of professional competence int the sustainable transport planning field —which at present is doing so very poorly on just about all fronts. It presents extracts from the final chapter and overview for the necessary future preparations as set out in Halcrow’s “Institutional Plan” document of October 2012 . The complete original report is available at http://bit.ly/2KvCz1u. Readers interested in accessing the eight key volumes, will find them available in the Penang/Battle of Ideas “Watching Brief “web site at http://bit.ly/2KEXWcS – and from there cursor down to the right hand column under the heading Halcrow Reports: 2011-2013. 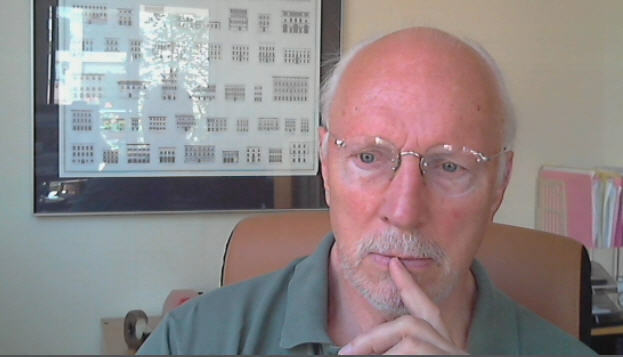 Posted on 10/01/2019 by Eric Britton Tagged * Action Plan* Climate* Competence* The Challenge	CommentsNo Comments on CLIMATE? DO WE HAVE A PROBLEM? CLIMATE? DO WE HAVE A PROBLEM?